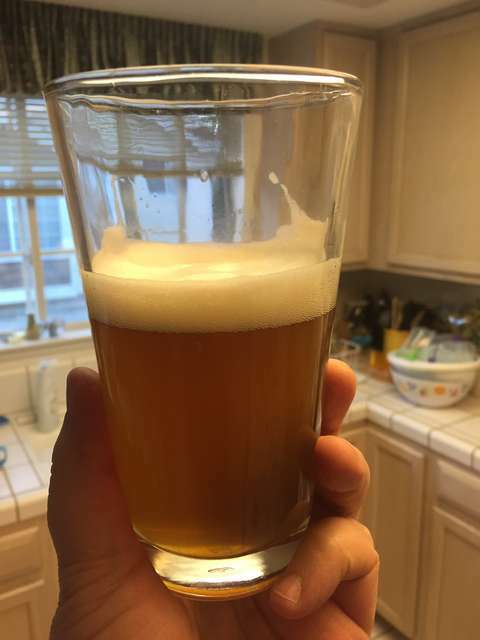 My "Plague of Kali" rye IPA, after sufficient bottle conditioning. The yeast did a great job on this one! A nice firm head, awesome fruity nose (kinda reminiscent of Muscat grapes, but more herby), fresh hoppy first taste, with medium body and a good mouth feel, and lingering hops after-taste. This one is like night and day compared to my previous (extract) brews, I think I'm sold on all-grain brewing!